I love to sew. Period. I love to give. Period. For a couple of years now, I have been making Lily these frilly capris and shorts. The design is something I came up with after seeing similar varieties at high prices. They are vintage, pretty, and durable...my favorite combination. I used a little shorts pattern and lengthened it. Because it warms my heart to give and I just think some sweet girl would really enjoy a pair of these capris... I am giving away ONE to a lucky reader. RED ruffle capris in a cotton, vintage design. A pair in WHITE with lavender polka dots and lovely rick rack trim. Or BLUE cotton capris in a delightful dot pattern. *Leave a comment and specify which capri and size you would love to win. 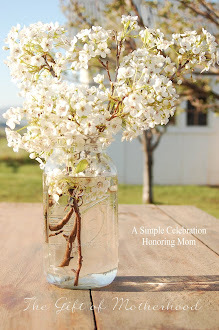 *If you are sweet enough to mention this give away on your blog, and you let me know, you are entered twice!! Winner will be randomly chosen on July 4th. Check out where I am linked to HERE. OHHH!!!! I love them all but think I like the blue best. Evie will just have to wait to fit them. Love your ideas and hope I win! love the red ones! if i don't win, i guess i'll just have to make some for my girlie...i think these might just be the perfect compromise for park days when she really wants to wear something girly and frilly and she (ahem *i*) doesn't want everyone to see her knickers. thanks for the giveaway! oh rats! sorry; i would need the 4t...sorry for messing up the count. it's clearly much too late to be commenting on strangers blogs. my friends all know i'm this spacey but it's so embarrassing that now you know too! Just had to comment, as I posted very much like you today, even a similar pattern! These ruffle pants are so darling, and fun, and girlie. My little one thinks its almost as good as wearing a dress :) I bet making soooo many, you can whip them up in no time flat!!! I love your blog, and I visit often, great job! Blanket. Hop on over to enter. Man - bummer my girls are too big....I love, love, love them - way too cute. Sweet really. So Cute! I would love the red in a 3t! Wow, they are A-dorable! I would LOVE some in a size 2T for my little Cali. Sooo sweet!!! I would like them in a ladies size medium please!! Just kidding :)) They would look absolutely adorable on my 8 month grand baby though!!! Julia! I'm so glad to have found your cute blog! Love all these sewn pretties. 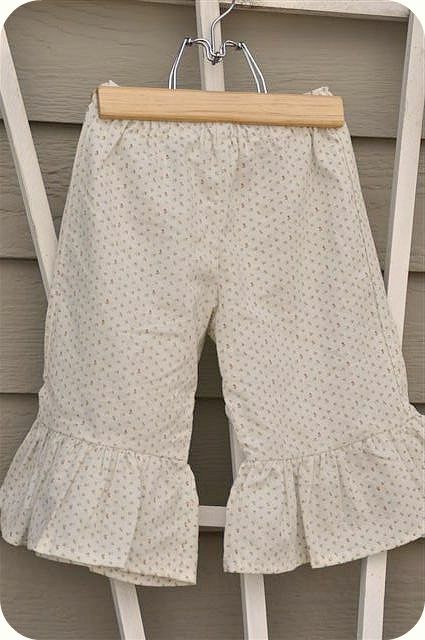 I have been wanting to make some little cotton ruffly capris for quite some time. Maybe I will get started with one of these (fingers crossed). They're all darling, but i love the white ones with the lavendar and the ric rac!! and a 2T is just perfect!! Hi! I found you at under the table and dreaming. Your capri's are too cute! Some little girl will be very happy. Oh, I wish I had seen this on time to enter- I love these! !